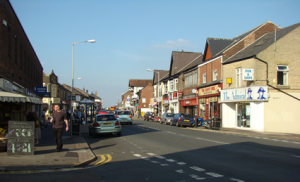 The site has been made to advertise Crookes to the world, raise awareness of its amazing high street, and give the individual businesses a little more window space to the world. We are in the process of building the site still at the moment, and so for the moment all advertising is free. We will be updating this once we are finished, to pay our costs, whilst still representing a very low priced form of advertising for all the wonderful shops and places to eat in Crookes. All our community links will remain free, and, when we launch our classified ads, these will also be free! A charity shop raising funds and awareness for the work of St. Lukes Hospice.